Lenovo India teased the launch of an upcoming Note series smartphone in a tweet yesterday. The teaser reads “Prepare for the dawn of the new #KillerNote”, but doesn’t confirm which smartphone the brand is planning to launch. However, it is speculated to be the K4 Note, the successor to the popular K3 Note. The teaser image suggests that the K4 Note will sport a metal frame, Dolby Audio and a fingerprint sensor at the back below the camera. As per the earlier reports, the K4 Note will be powered by a MediaTek Helio X10 processor. 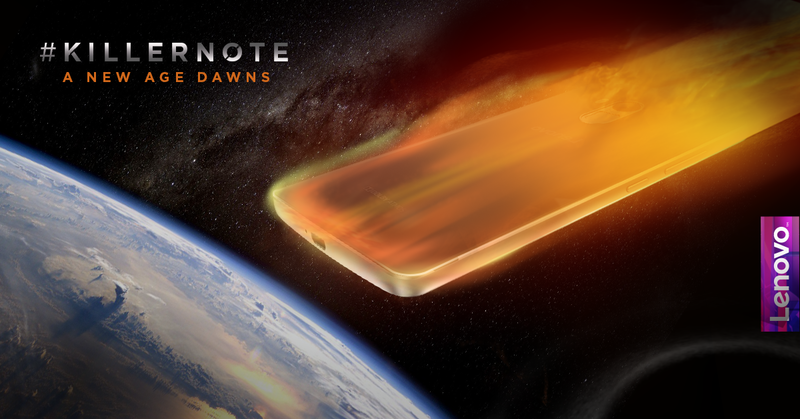 No other specs of the device are available at the moment, however, according to a report by Times of India, the K4 Note will be launched in India in January 2016. The Lenovo K3 Note (review) was launched in India in June this year. The brand recently announced that one million units of the device were sold on its online sales partner Flipkart in less than four months after launch.